Located in Dockside, the newly-opened Kennesaw Studio for Developing Artists is an artists' collective founded and run by Lucy Huntington Mitford to support the fine arts in Rhy'Din City. The second-floor studio is located in the historic Kennesaw Coffee Bean building from which it takes its name. The Kennesaw Coffee Bean Company still takes up the warehouse's first floor. 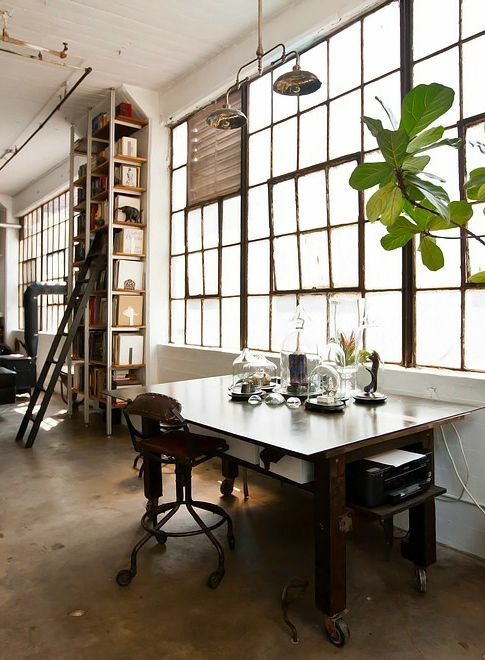 A set of stairs leads up to the open plan studio with large windows offering plenty of light to the work space. 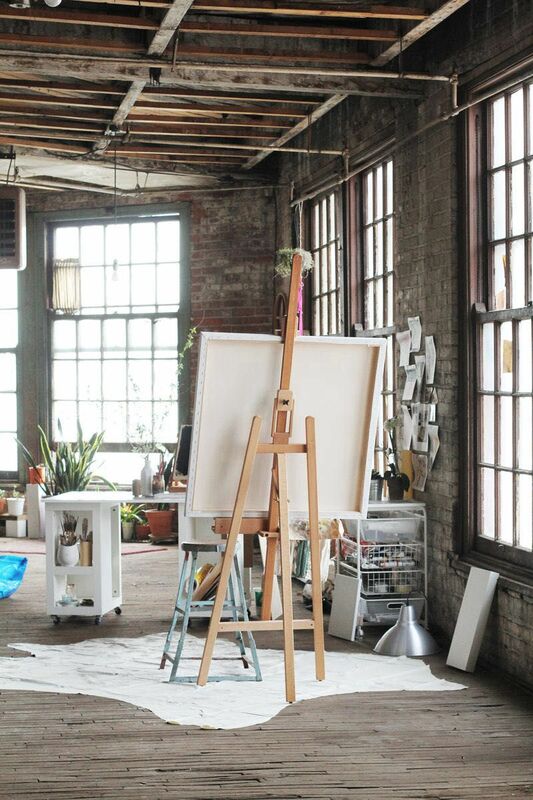 Work spaces are loosely divided and shared among the working artists. A freight elevator is also available for the movement of large canvases, sculptures, and supplies. While the Kennesaw artists have 24 hour access to the studio by virtue of their own keys, taking up residence is strictly prohibited and sleeping on-site is discouraged. Once an artist's application to the Kennesaw Studio is approved, Lucy personally helps them establish their own work space in the warehouse, and arranges for any necessary supplies. The studio also boasts a comfortable couch and sitting area, a kitchenette stocked with coffee, tea, and snacks, and a projection area for multimedia artists (or just movie nights). ((The Kennesaw Studio can accommodate a number of working artists. If you are interested in having a character take up a dedicated work space, please send me a PM! *OOC: Alterted pictures contain works by Guy Denning. I have no claims to the artist's work. *OOC Note: Original artists include Guy Denning, claralieu2 on Flickr, and unknown. Photos edited/merged by me. I am working through a backlog of confessions but have every intention of getting to them. Please keep submitting. Senka's art projects have been made public all around Rhydin via poster and post card size advertisements tacked and handed out around the city. Posters and postcard sized copies of the series have been places all over town. Feel free to reference them or work them into your play. Have fun! The Confession series is *not* closed. I received many more after this post, so I will see them through. Thank you for your continued interactions! Please look for playables in the future that will request the interaction of others. After seeing Senka at the Inn the other night, something had been nagging Lucy. It was the second time that Lucy had seen Senka in nothing but a camisole, and she couldn't help noticing that she seemed unhealthily thin. Having been through a period of concerning low weight herself after her release from prison, and having plenty of experience with eating disorders at boarding school, Lucy wasn't about to say anything to her in public let alone in private. She didn't want to embarrass her. Lucy didn't know Senka's circumstances. She thought she was employed. But many artists struggled to make ends meet, even with the assistance the studio provided. Or perhaps Senka had just come through an illness. Whatever it was, Lucy felt like she had to do something. Management is pleased to introduce a new amenity---fresh sandwiches daily! Fresh sandwiches will be delivered to the KSDA studio every day at 11AM and will be available in the refrigerator, in addition to the usual fruit and snacks. As usual, the snacks are available 24/7. Have a request? Craving something particular? Leave a note in the suggestion box and we will do what we can to accommodate you. ? . . . I just had a vision! An inspiration! This giant ball of artistic expression has built up inside me and I have to let it out!? Gren walked into the Kennesaw Studio, not wearing his traditional grey Ranger?s cloak, but with a white artist?s smock. His brunette, amber eyed girlfriend, Izira followed behind him, wearing a white blouse and grey pencil skirt with white strappy heels. ?The idea popped into my head a few days ago. Our Guild was trying to raise awareness about the rare RhyDin Round-Leafed Birch Tree, when it hit me! If I could paint its likeness so that everyone could see its beauty, then we could get more people to support our conservation movement! I got the image of it right *here*.? Gren tapped his forehead for emphasis. He found a nice spot in the second floor studio with a blank canvas and easel and settled down to begin his masterpiece. Izira was gently carrying some cooking magazines she found at a market stall and found a seat next to Gren, neatly crossing her legs. She thumbed through the magazine while occasionally peering curiously over his shoulder. ?Now then. We need Brown, and Forest Green. Plenty of Forest Green.? He squirted some of the oil paints onto a palette and held his thumb up as if trying to find the proper artistic angle. ?Now we paint a happy little tree. These son of a guns just live in your brush, you just have to push them out . . . whooooop!? Gren slid his paintbrush along the canvas to make a leaf, while doing his best Bob Ross impersonation. Izira glanced up from her magazine with a raised coppery eyebrow, before glancing back at her article again. Gren went from sticking his tongue out the side of his mouth, to holding both his hands up like someone was going to kick a paper football through them in his effort to do the tree justice. After getting more paint on his smock than the canvas, he finally finished. ?Done!? Izira glanced up from her last magazine and gave the painting a questioning look. It looked like Charlie Brown?s Christmas Tree when it was completely bent over after putting one bulb on it. ?Is . . . that the way a Round Leafed Birch is supposed to look?? she asked. Gren?s smile fell a bit and he looked at the painting again. He sighed and slumped his shoulders when he realized he had failed. ?You tried your best, dear.? Izira said reassuringly, laying a hand on his shoulder. ?How am I supposed to contribute to the tree?s preservation now?? he lamented. Izira lifted her magazine and turned it to show Gren a recipe for Luscious Lemon Bars. ?Bake Sale?, they said together. Gren and Izira returned to the Inn to begin their cooking. The Confession series is closed. Thank you all for playing along!